Downsizing can be a chance to hone a totally new personal aesthetic. Just look at these super-chic condos in two of Washington’s most popular locales for retirees. 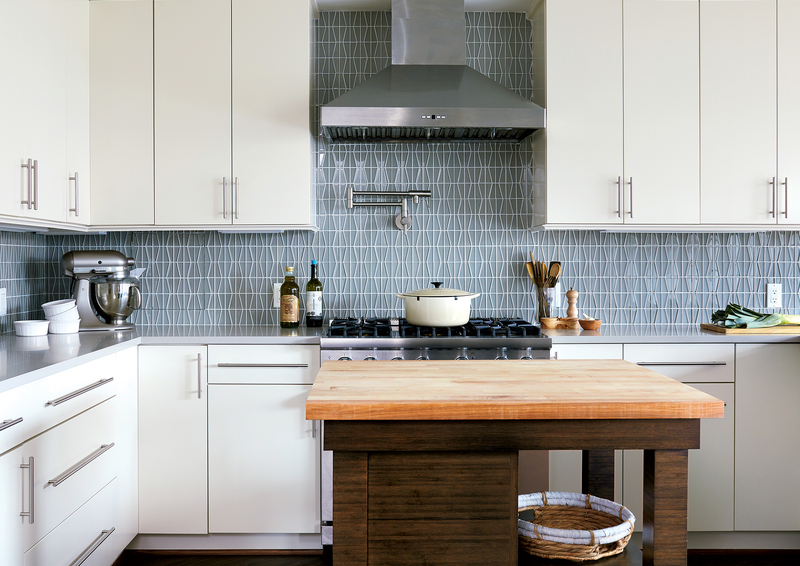 In a nod to the Watergate’s 1960s heyday, the homeowners added subtly groovy touches such as geometric tile in the master bathroom and on the kitchen backsplash. Photograph by Stacy Zarin Goldberg. The Watergate scandal made the landmark complex famous in the ’70s. Today it’s famous for being home to more than its share of people in their seventies. No wonder: While Richard Nixon’s third-rate burglars are long gone, there’s an on-site food market, a post office, a library, an upscale hotel, and other age-in-place amenities. So it was an obvious choice for one Washington couple when they decided to prepare for retirement by moving out of their 2,400-square-foot Capitol Hill rowhouse. 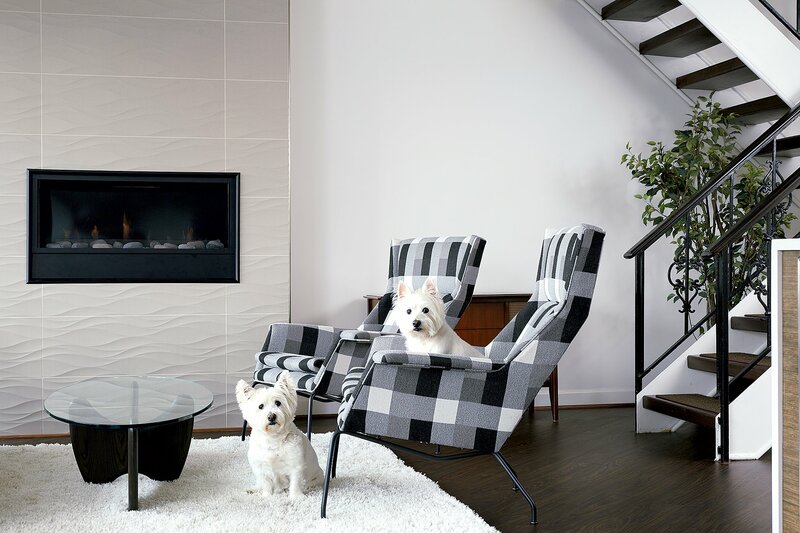 Coretec vinyl flooring—which looks like black walnut—can stand up to wear from their two West Highland terriers. Photograph by Stacy Zarin Goldberg. Photograph by Stacy Zarin Goldberg. A lot of empty-nesters want to ditch yard work but not their green space—one reason Chevy Chase’s Somerset House is so popular with them. Retirees can take in the condo development’s lush, tree-filled surroundings while someone else handles the upkeep, plus walk to the Friendship Heights Metro and enjoy amenities such as outdoor and indoor pools. The homeowners’ architect designed the built-in breakfast table, which can double as a workspace. The renovated master bathroom includes plenty of natural stone and a large walk-in shower that will be able to accommodate the couple as they age in place. Photographs by Angie Seckinger. When their sons moved out of their three-story Colonial and the time came to downsize, one Chevy Chase DC couple landed on a two-bedroom unit with nice views but odd angles and boxed-in rooms that made the place feel dark and dysfunctional. 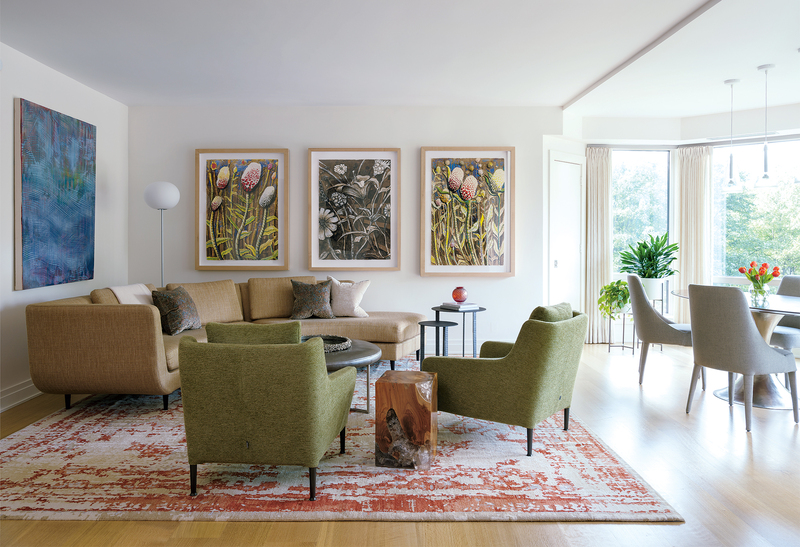 Working with architect Jane Treacy of Treacy & Eagleburger and interior designer Annie Elliott of Bossy Color, the pair set out to turn it into a multi-functional home and a showplace for their art collection. 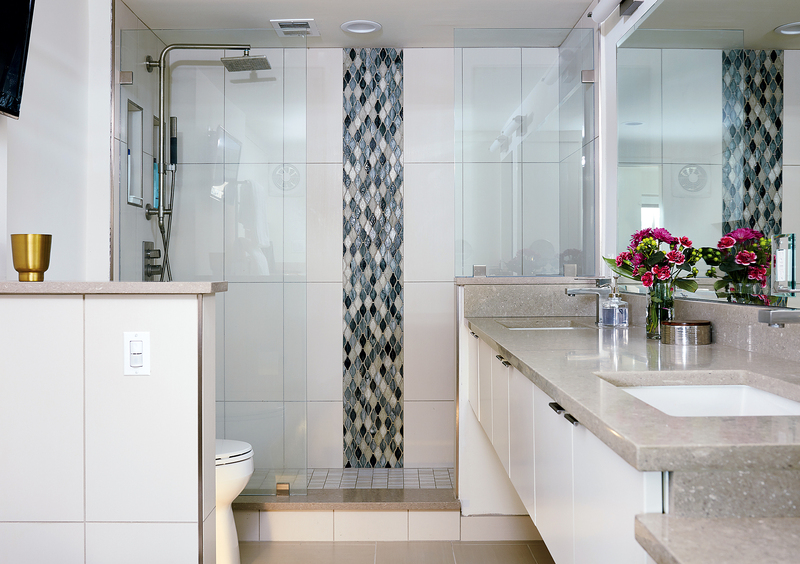 The gut renovation also produced serene bathrooms, especially the master, where a jumbo walk-in shower with a river-rock floor supplanted an oversize tub and cramped shower. “It’s the largest shower we have ever had, and it will work as we age,” says the wife. Elliott took the pair’s paintings and drawings as cues for deftly blending colorful pieces—grass-green chairs, a dark-orange patterned rug—with earthy neutrals such as their wood-and-resin tables and, in the foyer, the ochre grass-cloth wallpaper. Though the couple had preferred heavier, traditional furniture in their former place, that wasn’t what they wanted for this condo. So Elliott found zippier, modern pieces such as a purple sleeper sofa for the den; Treacy added a built-in break-fast table that also works as a desk. This means rooms do double duty, a major requirement for many downsizing clients.